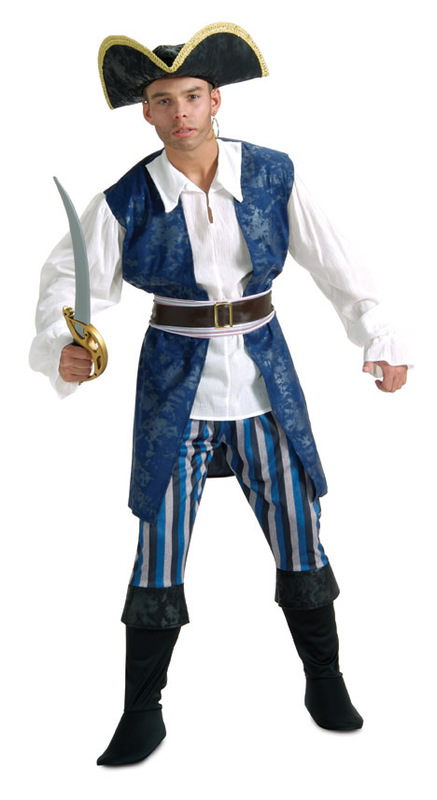 INCLUDES JACKET WITH ATTACHED SHIRT, PANTS WITH ATTACHED BOOT TOPS, BELT AND HAT. 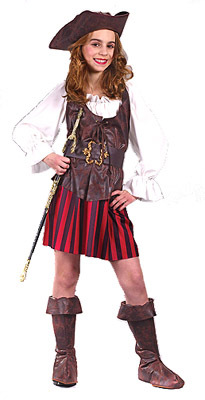 Includes dress, sleeves, hat and scarf. 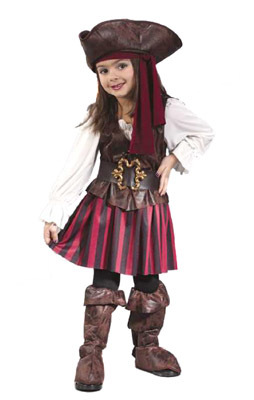 Includes dress with belt, bandana, boot tops and tights. 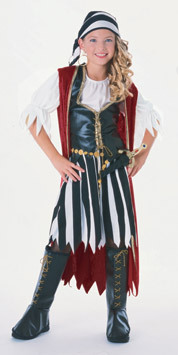 Includes top, mini skirt, gloves, scarf and arm band. 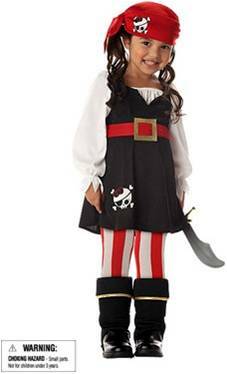 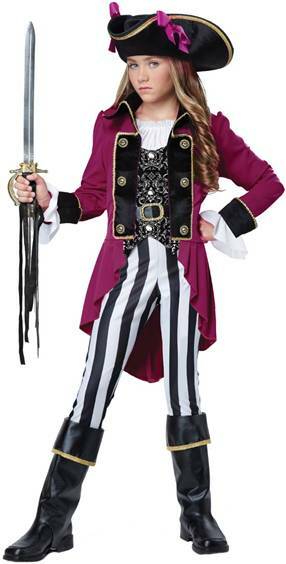 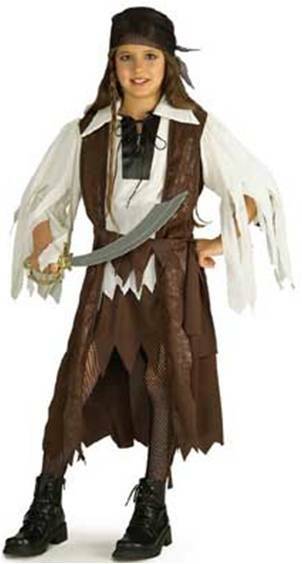 Pirate costume for girls includes a jacket, vest, pants, hat, boot covers and belt.